Online registration is available beginning January 28, subject to limited availability of seats, at https://www. jesusandthepharisees.org/. The program and other information is available at the same site. about the Pharisees (Josephus, Qumran, archaeological data, the New Testament, and Rabbinic Literature). After a round table discussion of the results concerning the “historical” Pharisees, the second part of the conference will be devoted to Wirkungsgeschichte, from Patristic Literature, to Medieval Jewish interpretations, to Passion Plays, the Movies, Religion Text Books, and Homiletics. In the end, we will look at possible ways to represent the Pharisees less inadequately in the future. PLEASE NOTE: Pope Francis will be granting a special audience to registered participants, on Thursday, May 9. 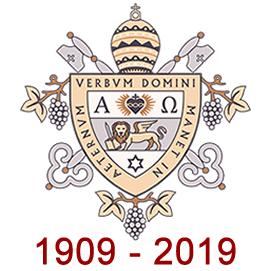 The conference is organized by the Pontifical Biblical Institute in collaboration with the Pontifical Gregorian University, especially its Cardinal Bea Centre for Judaic Studies.